Beneath the wave of self-immolations that has understandably come to dominate the current discourse on Tibet, a less dramatic undercurrent of resistance is transforming the landscape of Tibetan activism. This new force is the pan-Tibetan, self-reliance grassroots movement known as Lhakar. The first signs of Lhakar – the name is translated usually as White Wednesday and occasionally as Pure Dedication – appeared in 2008 following the nationwide uprising against Chinese rule. Four years after its birth, Lhakar has produced a paradigm shift in the way Tibetans conceptualize activism, thanks to three key elements: de-collectivization of activism, weaponization of culture, and adoption of noncooperation. The core appeal of Lhakar lies in its simplicity. It focuses on the fundamental elements of freedom, the most mundane decisions people make in their daily lives – when to visit the temple, what kind of music to listen to, which restaurant to eat in, which shop to buy groceries from, what language to speak at home – rather than the bigger decisions that carry a higher price tag. In the 1980s, it was common for Tibetans to swarm into the Jokhang temple every week to light butter lamps, burn incense, and pray secretly for the Dalai Lama's long life. These rituals, largely religious and symbolic, took place on Wednesdays, a day considered auspicious for the Dalai Lama. But China's indiscriminate crackdown in 2008 radicalized the entire nation and politicized a new generation of Tibetans. There was hardly a family in Tibet that was untouched by it; even those who stayed indoors and waited out the uprising were just a degree of separation away from someone who was jailed, disappeared, or killed. As China stamped out all forms of collective expressions of dissent, Tibetans responded by de-collectivizing their activism. Through personal actions such as wearing traditional clothes, eating Tibetan food, listening to independent radio, teaching their native language at home, many Tibetans began to use their individual space to assert an identity that has been suppressed for decades. In this politically charged period, rituals that used to be cultural suddenly became political, not so much because they gave people a Tibetan identity but because they gave them a non-Chinese identity. In a zero-sum game of identity politics, being Tibetan became synonymous with “not being Chinese.” This phenomenon gave rise to a series of practical actions that went beyond mere symbolism, and, eventually, beyond Wednesdays. Emphasizing individual acts of resistance rather than public acts of protest, Lhakar has decentralized the resistance. By treating their homes, workplaces, and computers as battlefields of resistance, Tibetans are wielding their limited personal choices and daily activities as a wedge to pry open more social, political and economic space. A Lhakar practitioner does not expect freedom to come from a tweak in policy or a change of heart in Beijing, but from his or her own daily thoughts, decisions and actions fostering a parallel world of freedom that will outgrow China's superstructure of repression. Thus through de-collectivization of activism, Lhakar sustains the resistance by empowering the individual. In doing so, it has become a gateway to activism at large. Growing up in exile, the first thing we learned about our culture was that it was facing extinction at home and assimilation in exile. There was a belief that culture could survive only at the mercy of politics; and the politics of Tibet allowed little hope of survival. My generation of Tibetans had a sinking feeling that Tibetan culture was like a fragile flower: beautiful to look at but incapable of defending itself. However, Lhakar is reversing this disempowering perception of culture. Since the rise of Lhakar, a growing number of Tibetans have begun reclaiming culture as a tool to fight for greater political rights. They are using Tibetan art, literature, poetry and music as vehicles for expressing their faith in the Dalai Lama, love of their homeland, and desire for freedom. Songs with politically charged lyrics or music videos with images of the Dalai Lama become instant hits, selling tens of thousands of copies. This upsurge in the public consumption of Tibetan music and poetry has spawned a modern renaissance in art and literature across the plateau. For the first time in decades, perhaps centuries, Tibetans are rediscovering how culture can save politics, instead of waiting for politics to save culture. This transformation is reflected most colorfully in the revival of public enthusiasm for studying Tibetan. In various parts of Tibet, elders and children take pledges to speak pure Tibetan, shedding Chinese terms from their vocabulary. In Sertha in Kham (Chinese: Sichuan), elders hand out free dictionaries to youngsters. Writers and musicians in eastern Tibet, many of whom preferred the dominant Chinese language as their artistic medium, now compose and perform in Tibetan. In restaurants and cafes, the owners serve customers only when they order in Tibetan. Weibo users tweet in Tibetan every Wednesday; Renren and Facebook users regularly post images and poems that carry political messages. These are but a handful of stories that show how Lhakar actions are multiplying across Tibet, from Lithang to Lhasa, Ngaba to Rebkong, Sertha to Nangchen. In art, poetry, and literature, Tibetans are able to paint a gray area that is nonexistent on the black-and-white canvas of politics. For a generation raised under the myth that we could never match China's power, nothing is more empowering than realizing that the inexhaustible reservoir of our culture is finally being weaponized into a powerful set of nonviolent tools. Lhakar has transformed Tibetan culture from frozen asset into liquid capital, from a holy scepter into a golden spear. Over a millennium has passed since Buddhism tamed Tibet, but our warrior instincts are still at large. We dash into battle before calculating gains and analyzing risks. In almost every Tibetan legend, bravery and action overshadow planning and preparation. The strategy room occupies a negligible place in the Tibetan imagination. Since 2008 many Tibetans have started eating only in Tibetan restaurants and buying only from Tibetan shops, prompting Chinese businesses to close down in several towns. This 'undeclared boycott' of Chinese-owned businesses, a poetic answer to China's 'undeclared martial law' in Tibet, invokes the principles of Gandhian-style economic noncooperation. For many years Tibetans in Nangchen (Chinese: Nangqen) had been buying vegetables at astronomical prices from Chinese grocers, whose monopoly over the vegetable market went unchallenged. But in early 2011, a group of Tibetans started boycotting the Chinese vegetable shops. Their power as consumers multiplied when others followed their example. Barely two months had passed when many of the Chinese groceries closed down for lack of business; in their place, new Tibetan vegetable vendors popped up. For the first time in recent memory, Tibetans are seeing how their individual actions can change their collective future. The discourse of resistance is changing from one of victimhood to one that emphasizes agency, creativity and strategy. Until recently, most conversations started and ended with Tibetan helplessness in the face of Chinese ruthlessness. Today the underground salons and teahouses are brewing with discussions about resistance, strategy, and action. Empowered by the tangible results of noncooperation, Tibetans no longer see nonviolence as a religious principle that restricts effective action; we see it as a strategic weapon that unleashes our potential. As proven time and time again in other revolutions, nothing can remove the pillars of a dictatorship more effectively than a widespread, sustained campaign of noncooperation. Last fall Chinese authorities in Sershul, eastern Tibet, arrested a Tibetan woman for wearing chupa on a Wednesday. Around the same time, they detained hundreds of Tibetans for being involved in a language preservation group, and many others for promoting vegetarianism – older Tibetans are fond of imagining that the good karma accumulated from reducing their collective meat consumption will add more years to the Dalai Lama's life. The Chinese government may have found a new enemy in Lhakar. But in declaring Lhakar its enemy, China has targeted a concept, an abstract noun, that it doesn't have the weapons to destroy. The essence of Lhakar is not in the chupa one wears but in the intention with which one wears it. The real Lhakar is a movement of the mind, and therefore invisible and untouchable to any number of troops, tanks, or bullets. China's heavy-handed crackdown on people speaking Tibetan, wearing certain clothes, or going vegetarian – a reflection of its declining confidence and growing insecurity – will backfire on the regime and end up strengthening Lhakar in the long run. A more serious threat to Lhakar, ironically, could come from within, from misunderstanding the concept of strategic nonviolence. We must not think that just wearing a chupa or speaking pure Tibetan fulfills our personal quota of Lhakar activism or that not wearing one or speaking another language somehow violates it. A narrow definition could prematurely strangle Lhakar; an open and inclusive definition will give Lhakar room to grow and mature. If there are a thousand different ways of observing Lhakar, how will the Chinese government challenge all of them? Those who have a passion for writing could spend at least an hour each week editing Wikipedia to make sure that entries related to Tibet reflect the truth; those who have unlimited phone plans could allocate a "happy hour" on Wednesdays to call the Chinese consulates and embassies and harass them about their government's treatment of Tibetans (the best stress relief is when you give it to someone else); those who are learning Tibetan could read their news in Tibetan at least once a week; those raised in the West could tune in to the Tibetan language services of Radio Free Asia, Voice of America, or Voice of Tibet every Wednesday; shopaholics could dedicate a couple of hours each Wednesday to persuading shops and retailers to replace Made-in-China products with Made-in-[enter your own country of residence] products; students could dedicate each Wednesday to covering their campuses with flyers to highlight one aspect of injustice taking place in Tibet and how to right it. These are just a few among the scores of actions people can take according to their own skills, abilities and interests. Social movements are fueled by positive reinforcement and killed by self-righteous policing. In truth, Lhakar has gained its wide appeal precisely because it is a voluntary, flexible and one-size-fits-all kind of movement. We must allow each person to contribute to the movement freely in her own way and according to her own preferences rather than forcing her to conform to certain rules and appearances. Lhakar needs cheerleaders (http://www.lhakardiaries.com/), not policemen. During the Civil Rights Movement in America, many wealthy black professionals and businessmen were asking Martin Luther King Jr. to slow down the campaign for equality. "Don't rock the boat," they implored him. "If we push too hard, we might lose even whatever little we have gained." (Fortunately for all of us, the Civil Rights Movement continued to rock the boat). In our case too, some people will try to save a milder version of the movement from China's claws by promoting a Lhakar-lite. They will seek to perpetuate a mild, toothless version of Lhakar by insisting that it remain a cultural, not political, movement. But such arguments are rooted in a psychology of defeatism that renders us incapable of imagining Tibetan power outside of Chinese parameters. It prescribes an activism conducted in fear, and fear is the most efficient prison the oppressors ever built for the oppressed. What other kinds of jail or detention center can imprison us even in exile? 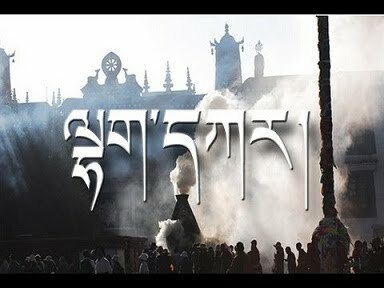 Now is the time to intensify Lhakar by amplifying its philosophy and multiplying its practice, not at a pace dictated by China but one set by Tibetans. This is not the time to divide Tibetans into activists vs. pacifists, political vs. cultural, secular vs. religious. We must blur the lines between the cultural, the political, the social and the economic, for such compartmentalization does not exist in real life; we inhabit all of these spheres at the same time. The day is not far when the Chinese government will view every Tibetan as an activist and every action as subversive. That's when we will know that China has lost the battle for Tibet.